Christmas is a great time to get creative, especially when it comes to gift-giving. Simple handmade gifts are far more personal than items you can buy in the store, and they're a great way to show family and friends how much you care. There are lots of fun crafts that make perfect Christmas presents for everyone on your list. Whether you're looking for crafty ideas for teacher gifts or need to make a special present for someone in your family, one of these 20 craft ideas will work. All of these ideas are simple and fun, and you can complete the whole project within one afternoon. 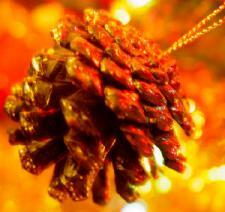 Pinecones are a holiday favorite when it comes to decorating, and they also make a handy craft supply for festive gifts. There are lots of creative crafts using pinecones, including room deodorizers, bird feeders, and more. These make great teacher gifts. For the kids in your life, you can whip up a batch of homemade clay. Add red or green food coloring to make it even more festive. Use one of these recipes to give kids a creative Christmas gift that will keep them occupied all through the chilly winter months. Canvas bag crafts make perfect gifts for just about anyone, especially when you decorate them with a holiday motif. Not only are these bags fun and easy to make, they're also practical. The recipient can use the bag as a shopping tote, catchall, knitting carrier, or for any other purpose. You can craft a fabric flower brooch to give as a gift to the special ladies in your life. These easy brooches look great on dresses, scarves, coats, and purses, and you can make them extra festive by using red and green fabric. Everyone loves receiving a scarf as a Christmas present, but there's no reason you need to spend hours knitting one. These no-sew scarf projects are fun and easy, and they'll take just a few minutes to create. You can give scarves to dads, grandpas, and everyone else on your list. If you're looking for an easy craft to delight the little girls in your life, make them some ribbon barrettes. These one-of-a-kind creations make perfect stocking stuffers or can work well as a present on their own. Need a great stocking stuffer for the kids on your list? 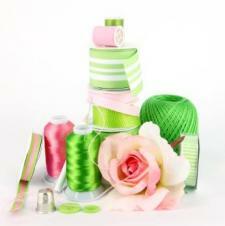 Make embroidery floss bracelets in their favorite colors or in festive red and green. 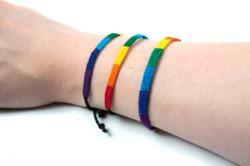 These fun friendship bracelets are sure to please just about anyone. You can use a free beaded necklace pattern to make a special gift for the women in your life. This is a great option for moms, grandmas, and sisters, as well as close friends. It's affordable and easy, and it's a fun project for a snowy afternoon. Use a free beaded earring pattern to make earrings to go with a necklace or to act as a gift on their own. These designs are sure to delight all the ladies on your Christmas list. For the ultimate cozy holiday gift, make a no-sew fleece blanket. All it takes is a couple of yards of fleece from the fabric store, some scissors and other simple tools, and an hour or two of your time. A fleece blanket is perfect for everyone from new babies to great grandmothers. There's nothing quite as relaxing as soaking in a warm bath when the weather is chilly. 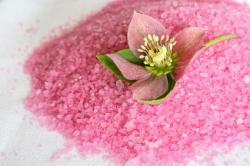 Homemade bath salts make a spectacular holiday gift for friends and family members. You can even use Christmas-themed scents to make them extra festive. Lip balm makes an excellent stocking stuffer, and it can help prevent the chapped lips that come with winter weather. You can easily make your own lip balm to give to neighbors, friends, and family members this Christmas season. Making homemade Christmas soap is a great holiday activity for the whole family, and it makes a wonderful gift for everyone from teachers to family members. These easy recipes are festive and fun. Another simple craft for gift-giving is homemade body lotion. You can use simple body lotion recipes to create custom lotions for family and friends. Put the lotion in pretty bottles, and tie it with a tag and ribbons. You can take your Christmas cookie making to the next level by making no-sew aprons for friends and family members to wear. These easy crafts are perfect for everyone from kids to grandparents. 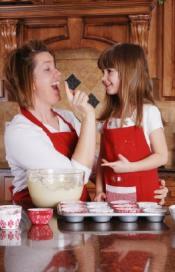 You could even make matching Christmas aprons for mothers and daughters or other family groups. Make your own note cards to give as a personalized Christmas present to family and friends. These note card ideas are fun and easy, and you can package them in groups of six for a wonderful holiday gift. Nothing says Christmas like a craft you can eat. Edible food crafts are fun and easy. Make a holiday candy tray to take to the neighbors or an edible centerpiece to take to your next holiday dinner party. Handmade beaded Christmas ornaments make thoughtful gifts for teachers, neighbors, and other people in your community. These simple projects are fun for the whole family, and they'll result in beautiful ornaments your friends will love for many Christmases to come. For a simple, crafty gift, place a poinsettia in a decorated clay pot. You can use clay pot craft projects to make all kinds of unique decorations, perfect for holiday gift giving. You can make an angel out of beads to decorate a friend's Christmas tree or simply act as a guardian angel for the car or desk. This is also a great gift for members of your church. No matter which simple craft idea you choose, you'll love giving a homemade present this Christmas. 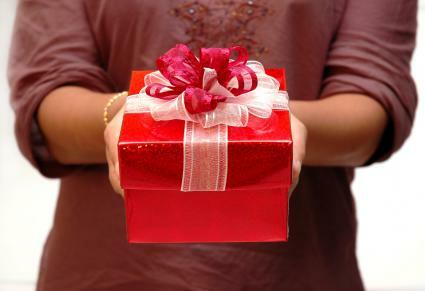 Your creativity and thoughtfulness will delight anyone lucky enough to receive such a special gift.